I am officially in Valentine's day mood. I love everything about Valentine's Day. From the red roses to the delicious chocolates and everything else in between. I remember when I was a child. I looked forward to passing out Valentine's day cards to my classmates, I also remember also going to the store and being very selective about the one I selected. I remember going home with a ton of cards and reading them when I got home from school. 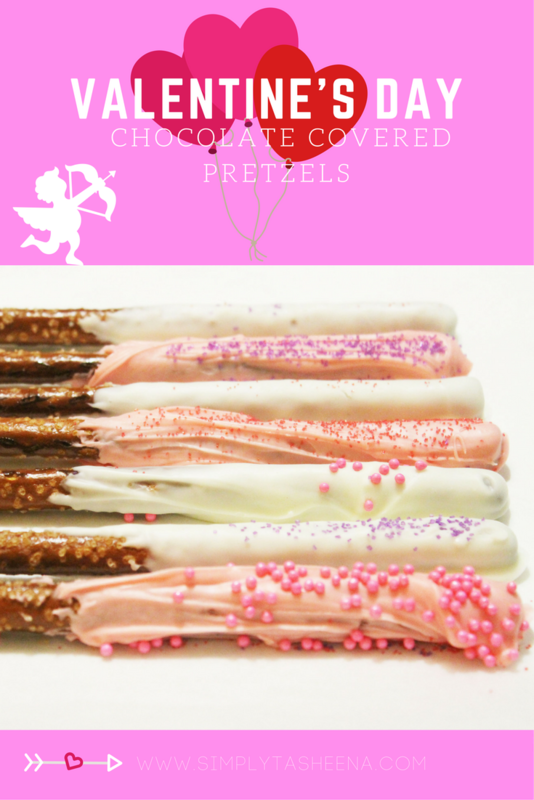 were the days...Now as an adult, I love baking sweet treats the month of February, one of my favorite recipes to make is chocolate covered pretzels. They are super easy to make as long as you don't burn the chocolate. You can decorate them any way that you like and this is also super fun to do with the kiddos too. 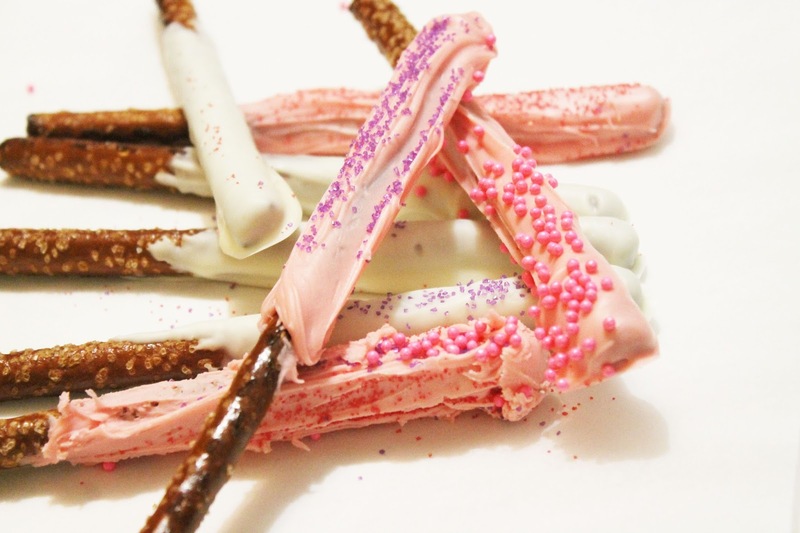 Chocolate covered pretzels can be a super fun treat that you bring to the next event you're attending. Dip each pretzel rod about 2/3 of the way up in chocolate. Aw these look super yummy! Can't wait to try out this easy recipe! They're perfect for Valentine's Day!! How have I never seen this before now? I'm definitely trying this one out! Ooo yes please! I would love these so much. They look amazing. I love chocolate covered pretzels! And I really like them when they're homemade, but it's always so messy. 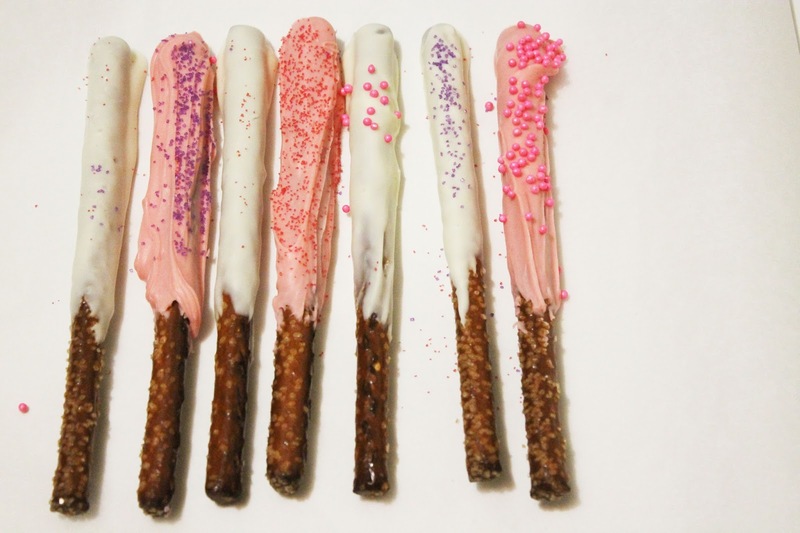 So I like the idea of using pretzel rods so you can just dip without getting your hands sticky! These look great. I haven't thought about covering pretzels in chocolate before but I'd like to try them. 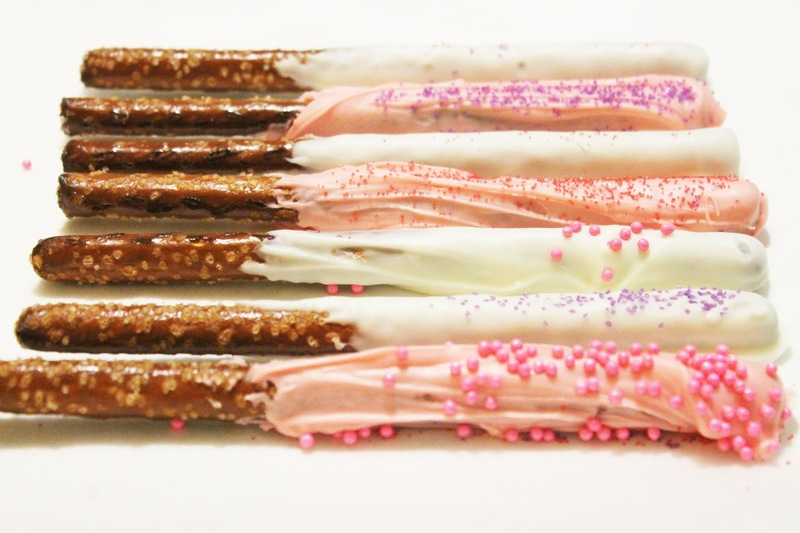 You can't beat how pretty, easy and fun these pretzels would be for a party. 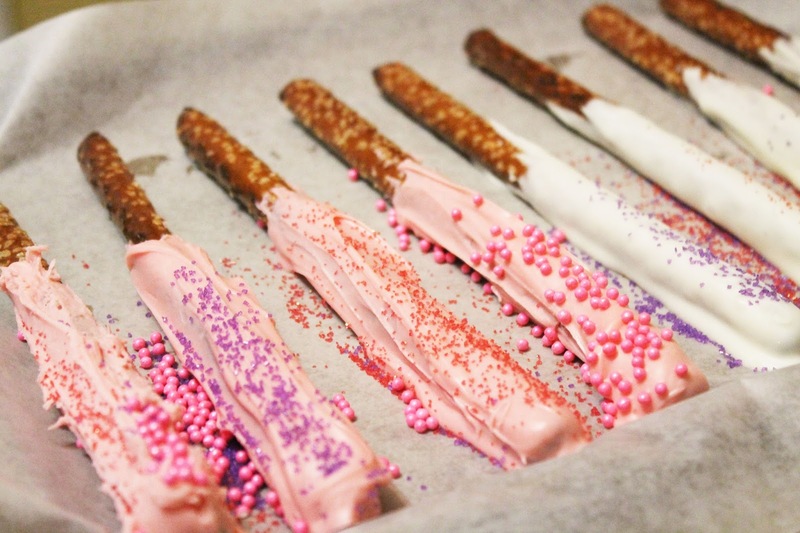 My kids love pretzels so this would even make a fun snack for them to make and eat. Great valentines day treat! It looks so adorable and also easy to make! THanks for sharing. Chocolate covered pretzels are the best and these ones are cute too!! So cute for a Valentine's Day event! Chocolate covered pretzels are so tasty! My favorite valentine's day treat are chocolate covered strawberries!! I'm making these today. We do ours with Almond Bark.